Depression – Feelings of despair and profound sadness! Depression is a complex mood disorder that causes persistent feelings of despondency, dejection, despair and profound sadness. Clinical depression is a serious medical condition in which a person feels unhappy, hopeless, miserable and unimportant. As a result, a clinically depressed person is unable to live and enjoy life in anything resembling a normal manner. This type pf depression is often accompanied by low self worth, guilt, disturbed sleep and/or appetite. Loss of interest in life; no pleasure from their existence. Decreased or increased weight or appetite. Appearance of agitation or irritation. Many people with depression also suffer from anxiety. They may, as an example, become a hypochondriac, or worry more than average about their health. They may also experience excessive conflict in their relationships, and may function poorly at work. Sexual functioning may also be a problem. And, people with depression are more at risk for abusing alcohol or other substances. Major depression may occur just once in a persons life or may return repeatedly at any stage of life. Some people who have many episodes of clinical depression also can demonstrate a background pattern of a milder form of depression called “dysthymia”. And, of course, there is the bipolar type which is a brain disorder that causes unusual shifts in mood, energy, activity levels and the ability to carry out daily tasks (which is also known as manic-depressive syndrome). A person who has many of the classical signs and symptoms of depression that last for at least 2 or 3 weeks would likely be considered clinically depressed by most MD’s. And treated with a variety of anti-depressant medications. And, in some very severe cases, ECT (electro-convulsive therapy) might be tried. Drug companies and the doctors who have been propagandized by them have a deep investment in having you believe that your “chemical imbalance” requires prescribed medication sometimes for life. Research, however, clearly shows that the outcomes for those taking psychotropic medication is actually worse in the long term than for those who never take them at all! It is important to remember that depression affects both body and mind and is rarely completely mental or biochemical. Therefore, the best help will likely come from using the guidance of an experienced, caring holistic doctor. However, in cases of acute psychiatric distress to stabilize a patient it will be necessary for medical emergency intervention for the short term. Once a patient is stabilized, again for the long term I would recommend holistic care with non toxic remedies rather than long term usage of psychotropic drugs. Conflicts with family members or a friend. Genetic predisposition e.g. a family history of depression or bipolar disorder. Hormone imbalances e.g. postpartum depression, low thyroid etc. Neurotransmitter imbalances in the brain. 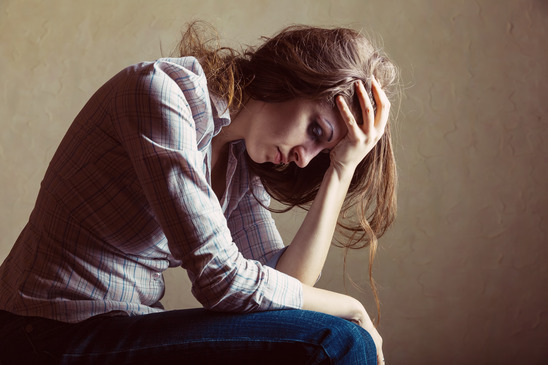 Gender:… women are twice as likely as men to be diagnosed and treated for major depression. Brain anatomy; in one study published in the journal of neuroscience investigators studied 24 women with a history of depression. On average, then hippocampus was 9%-13% smaller compared with those not depressed. Seasonal affective disorder due to lack of sufficient sunlight. Guided meditation and mindfulness meditation. EFT goes to the heart of the problem and removes the emotional arrow! Although the holistic treatment of depression allows for a wide variety of options, one of the most useful and reliable modalities is EFT. It has been referred to as a form of emotional acupressure because it directly addresses the underlying emotional and psychological issues that disrupt the subtle energy field of the brain and acupuncture energy field of the body. This is what actually causes the symptoms. EFT can be used to eliminate or reduce pain (both physical and emotional), remove negative emotions, stop panic/anxiety attacks and alleviate depressive states. It is based on the well proven concept that the electromagnetic energy flowing through our bodies is ultimately the regulator of our health. In actual practice, the technique is simple, quick and easy to perform. And the results are often nothing short of amazing even if the symptoms appear to be chemically or physically based. Most of the time there is a significant but hidden emotional component which is perpetuating or prolonging the symptoms. However, EFT is best used in conjunction with some highly effective nutritional/herbal remedies such as 5-HTP which is the direct precursor to serotonin production and passes directly through the blood-brain barrier. Levels of other neurotransmitters are also raised when using 5-HTP including dopamine, melatonin and nurepinephrine. It is very valuable in cases of depression, insomnia and obesity. The other frequently used nutraceutical that has stood the test of time and scientific scrutiny is SAM-e which works by elevating the brain’s serotonin levels and like 5-HTP, helps to balance numerous other neurotransmitters. Seventy percent of depressed patients taking SAM-e notice mood improvement within days as opposed to pharmaceutical antidepressants that typically require two to four weeks to take effect. Dr. Richard Brown, Associate Professor of Clinical Psychiatry at Columbia University, and coauthor of the 1999 book “Stop Depression Now”, described SAM-e as the breakthrough supplement that works as well as prescription drugs in half the time and with no side effects! Obviously, it is best to use these modalities under the guidance of a knowledgeable and experienced holistic health care practitioner for the best possible results.